Winter flowers are so welcome. Add in fragrance and a gardener could swoon from happiness. Winter honeysuckle is one of those shrubs that can bring cheerfulness on cold bleak days, and then turn into an unattractive rambling thug in summer. Sometimes we have to put up with an unattractive summer existen­ce to reap appealing winter rewards. In summer this nondescript shrub can serve as a hedge or can even be limbed up into a multi-trunk tree form. Limbing up makes it easy to find more real estate underneath for those annuals and perennials you brought home from the nursery without a clue where you would plant them. At six to ten feet high, it is easy to keep in bounds with judicious pruning. Pruning should be done early in the spring after it has quit flowering. Be sure to prune correctly to keep some kind of form. It naturally has arching branches so if you want to keep it looking tidy, remove some of the interior old growth clear back to the trunks, leaving the more pleasing arching branches to cascade out front. My poor shrub has taken several years to recover from a heavy haircut I gave it when moving it from old garden to new. It finally has some curves and now it is time for me to try and clean it up a bit. As you can see from the pictures, it is in need of some tender care. Winter honeysuckle grows just about anywhere in USDA Zones 4-9. 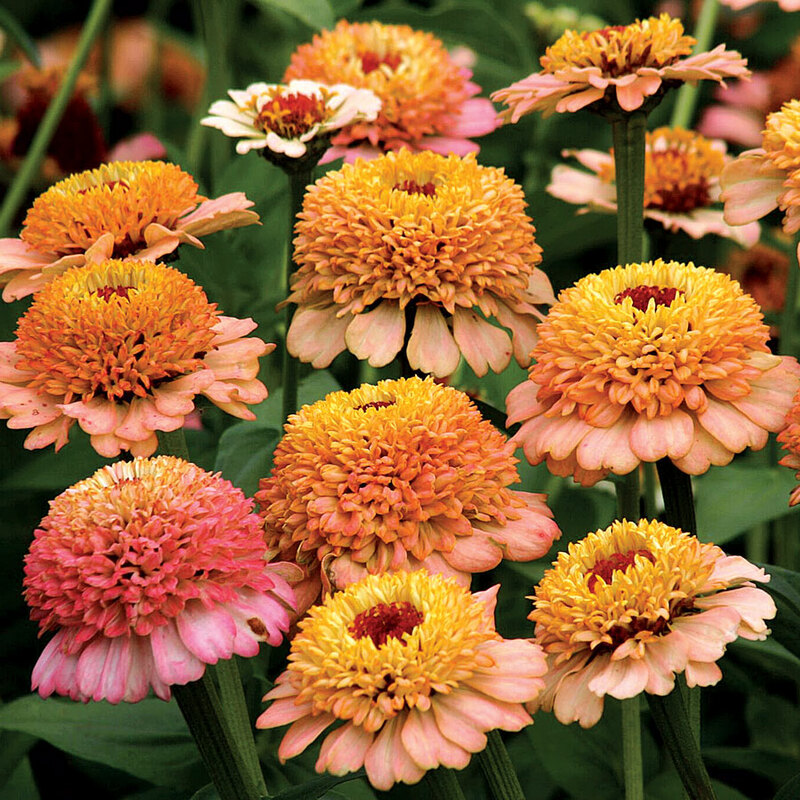 It is fast growing, prefers sun or part shade in its northern range and shade down south. It is evergreen in warm areas and deciduous (losing its leaves) in colder regions. 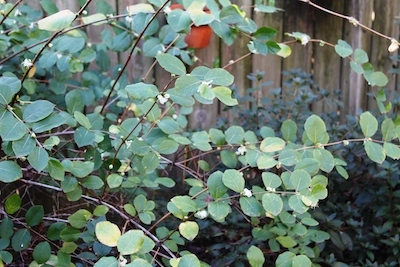 Leaves are a medium green with a bluish tint. Red berries, inconspicuous and hidden by leaves, follow the flowers in summer. January/February in the South and March/April in the colder areas (before the leaves appear) brings out its sweet-smelling side. Extremely fragrant creamy white flowers appear, first as buds, at every leaf junction along the stem. It is drought tolerant, not much liked by deer, grows in clay or dry soil, and is one of the few shrubs that will tolerate the toxic Black Walnut jugleon. 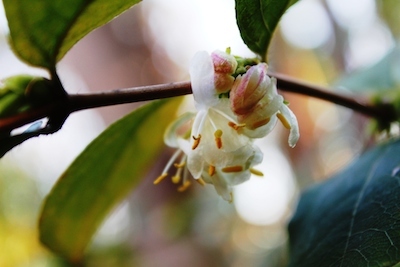 According to invasiveplantatlas.org, Lonicera fragrantissima, also known as Sweet Breath of Spring, has been found to be invasive in natural areas in the states of Tennessee, South Carolina, and Georgia. Reports online talk about the shrubs being covered with birds eating the reddish berries that form after the flowers. Birds are the main dispersal elements where berries are concerned. I have to say I have never seen a berry or a berry-eating bird on my shrub. Could mine be a berryless wonder? I will be looking closely for berries once the flowers pass.